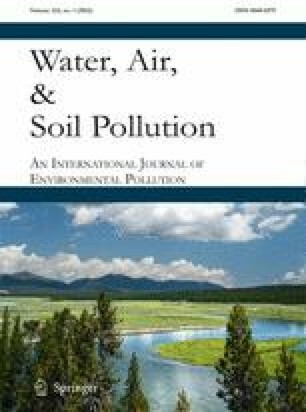 In Southern Spain, as in other semi-arid zones, plants used for the phytoremediation of heavy metal-contaminated sites must be able to withstand not only the challenging soil conditions but also seasonal drought and high temperatures. A pot assay was carried out to determine the ability of soil amendments to promote the survival and growth of the seedlings of two native species, Atriplex halimus L. (Amaranthaceae) and Bituminaria bituminosa (L.) C.H. Stirton (Fabaceae), in two heavy metal-contaminated soils, one of which also had a high level of arsenic (As). Restriction of A. halimus shoot growth in the non-amended soils appeared to be due to deficiency of nitrogen, phosphorus (P) and potassium (K) and in the more highly contaminated soil to lead (Pb) toxicity. Shoot biomass of A. halimus in the more highly contaminated soil was increased significantly by compost addition, due to increased uptake of K and P and decreased tissue Pb. The lack of effect of compost on B. bituminosa growth in this soil, despite a large increase in tissue K, may have been due to elevated tissue levels of As and Pb and the high soil salinity. The combination of A. halimus and compost addition seems appropriate for the phytostabilisation of contaminated semi-arid sites. We thank Roberto Pérez Alcaraz-Pérez (IMIDA) for technical assistance and Tania Pardo (CEBAS-CSIC, Murcia, Spain) for analysis of the compost and pig slurry. This work was funded by project CTM2007-66401-C02-01 of the Ministerio de Ciencia e Innovación (Spain). Half of David Walker’s salary is paid by the European Union via European Social Funds. Probiogas project. Retrieved April 27, 2011, from http://www.probiogas.es.